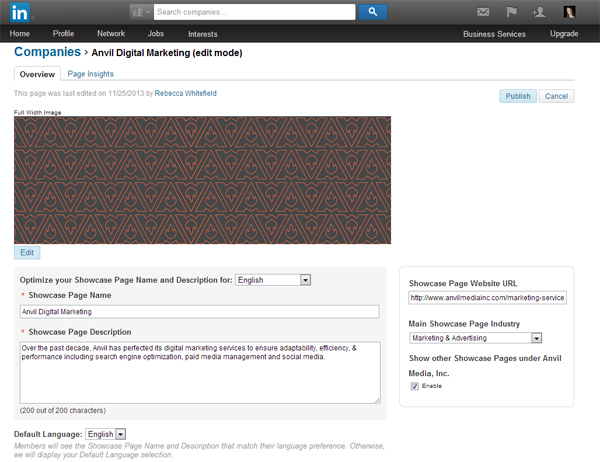 In late November, LinkedIn announced a new page type available to brands, showcase pages. This new complement to company pages allows companies to set up pages for specific branches, products or business units, creating the opportunity for more granular updates about their product offerings and divisions. 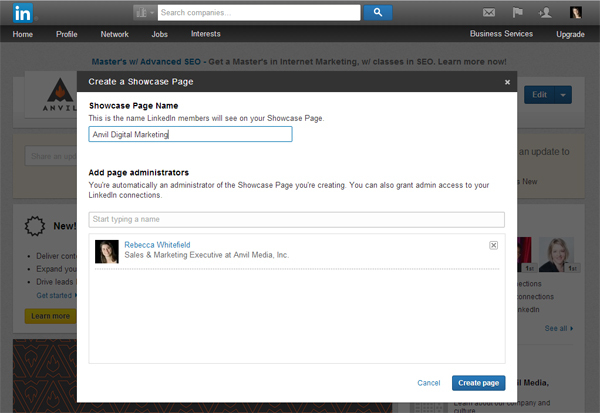 If you are already an administrator of your company page, setting up a showcase page is quick and simple. 3. You can then enter in vital information for your showcase page including page description, link to your website, industry, and images. Click “Publish” to make it public. Once your showcase page is created, it’s time to focus on creating and sharing content targeted to this niche community. You can check out Anvil’s showcase pages at the links below.